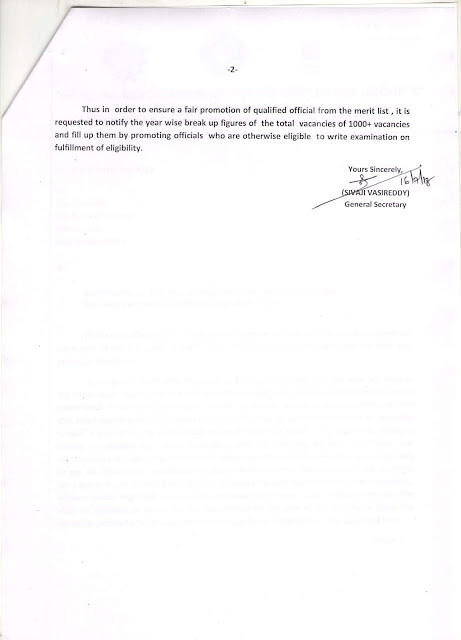 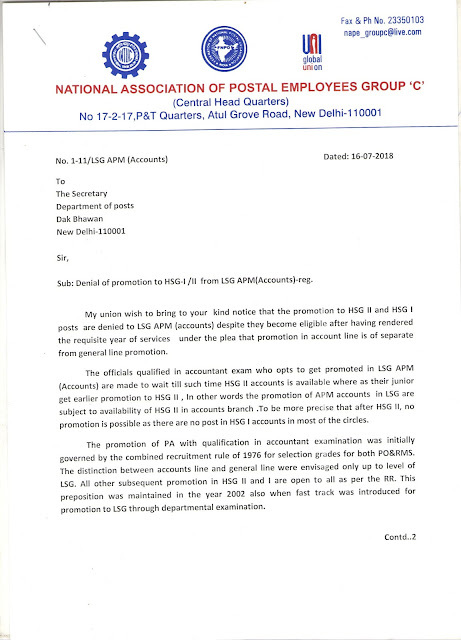 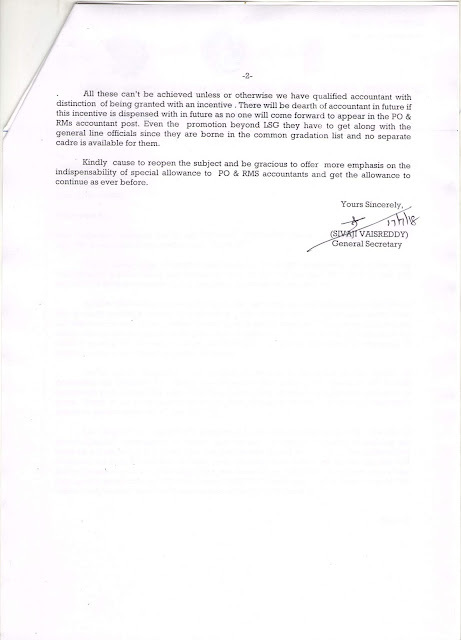 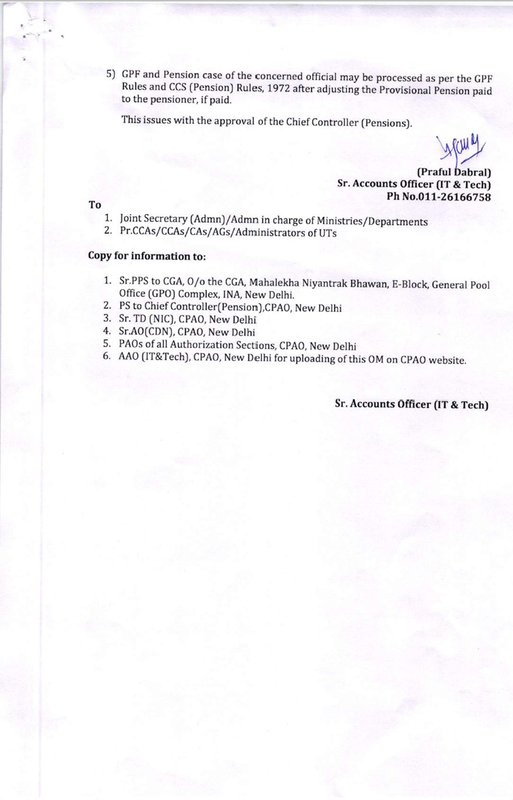 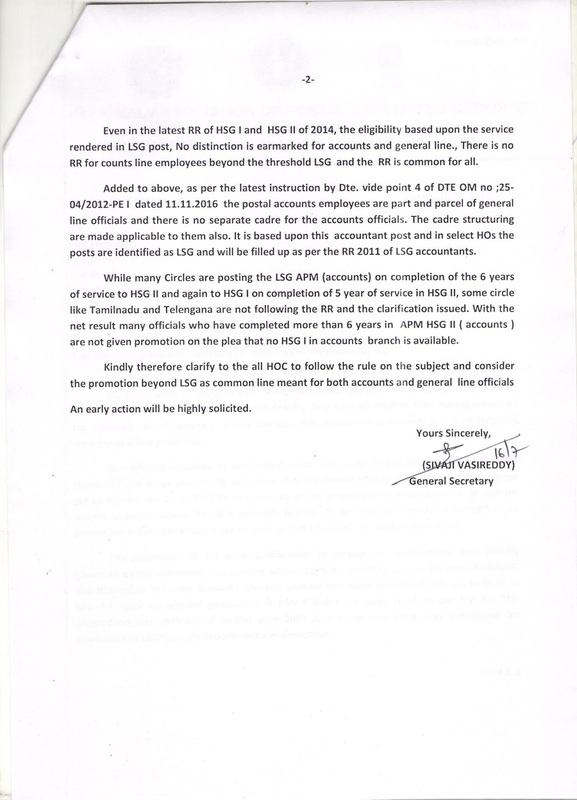 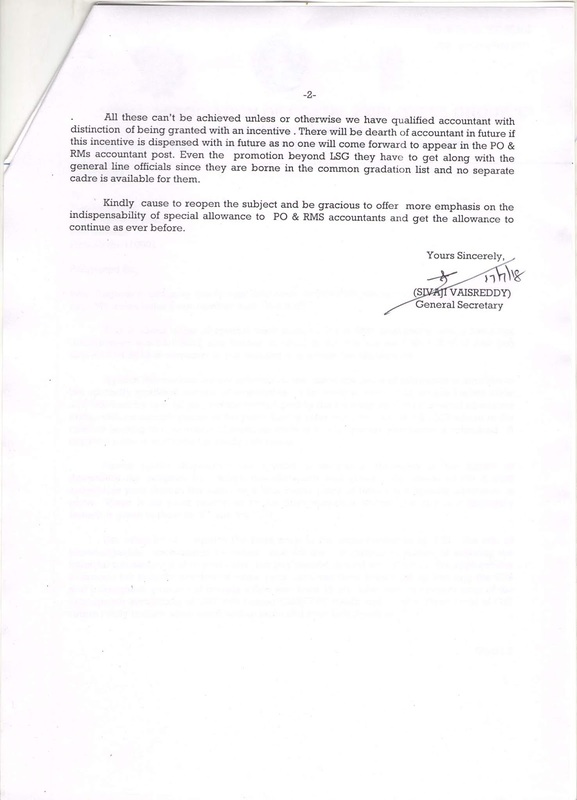 Denial of promotion to HSG-I /II from LSG APM(Accounts) - Reg : NAPE Gr-C GS letter to Secretary,DoP. 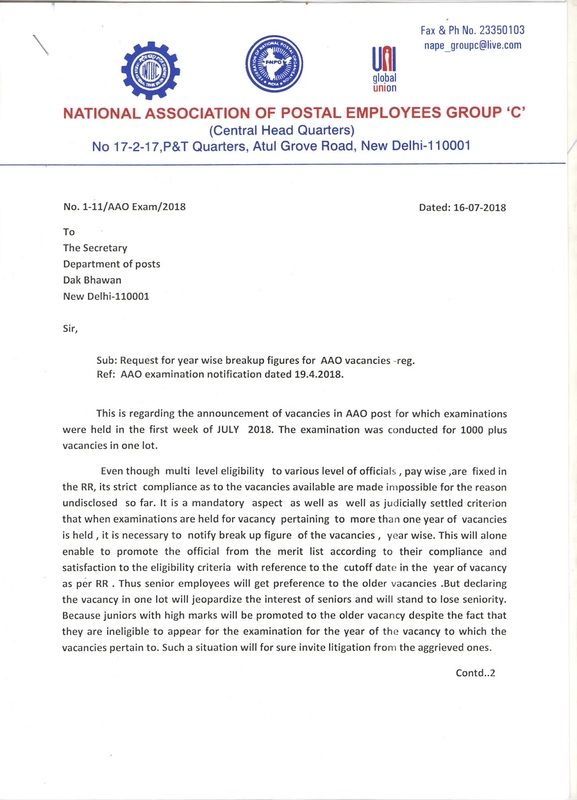 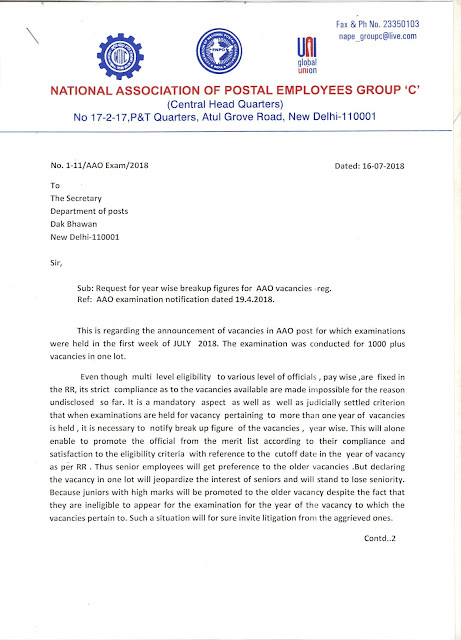 Request for year wise breakup figures for AAO vacancies : NAPE Gr-C GS letter to Secretary,DoP. 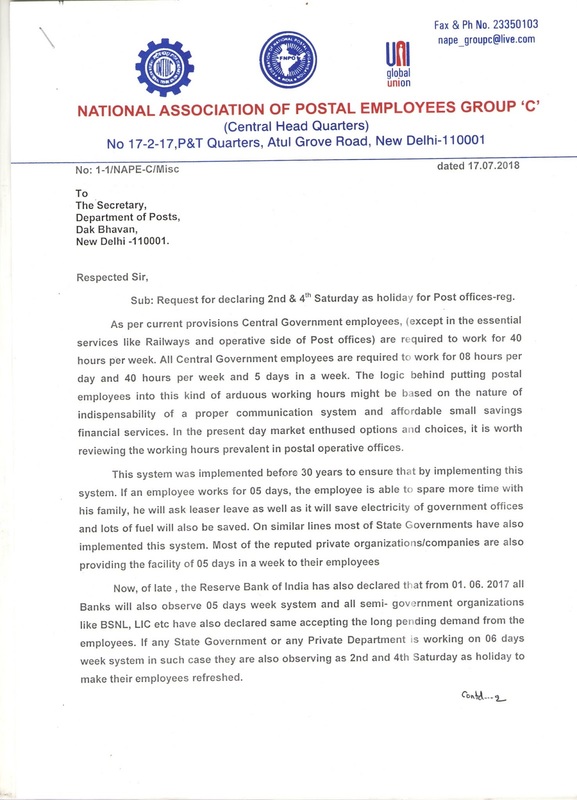 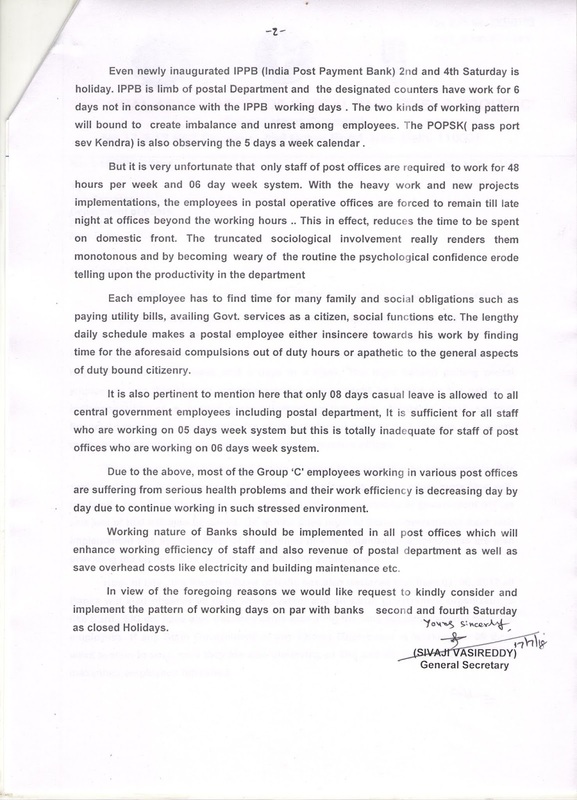 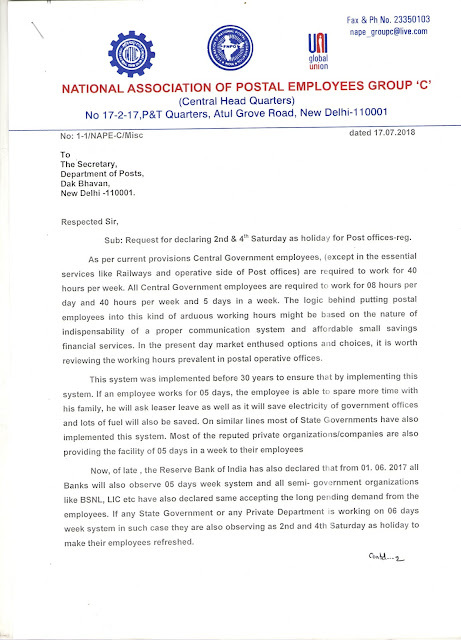 Request for declaring 2nd & 4 th saturday as holiday for Post Offices -Reg : NAPE Gr-C GS letter to Secretary ,DoP. 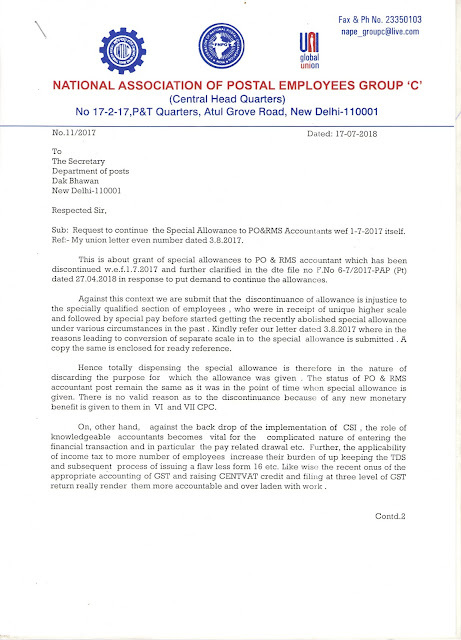 Request to continue the Special Allowance to PO&RMS Accountants w.e.f.1.7.2017 itself : NAPE Gr-C GS letter to Secretary. 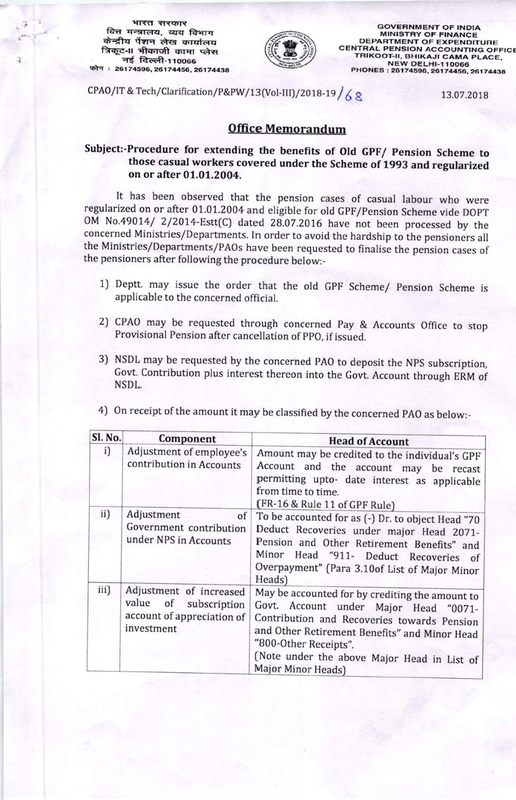 Procedure for extending pension scheme to casual workers under scheme of 1993 and regularised on or after 1.1.2004 : Department of Expenditure.